If you have not already seen or heard, the new blockbuster film Black Panther has been having one of the most successful movie openings ever. Opening to millions of tickets sold during Black History Month, the action adventure explores the tale of the latest but not the first – – shout out to Meteor Man, Blank Man, Spawn and Blade – – Black superhero who hails from the fictional African nation of Wakanda. The film is definitely cementing its place in history and capturing a moment in cinematic time. More than just having a moment, many are heralding the Marvel Comics flick as the door buster for ushering in the new wave of big Hollywood content that is written, directed and starring people of African descent. In recent years, films that showcase Black characters in non-stereotypical roles have excelled at the cinema. Look at what Hidden Figures did for highlighting women in STEM or what GET OUT did for showcasing African Americans in the suspense/horror genre. Moonlight made giant strides for the Black LGBTQ community as it was named Best Picture at the Academy Awards. And the list continues to grow. While Black Panther enjoys tremendous success, there are also numerous lessons and insights that can be garnered from the perspective of supporting multicultural marketing and using Black content to appeal to mass audiences. Here are four lessons that Black Panther taught us about successful marketing through the lens of Black Culture. 1. 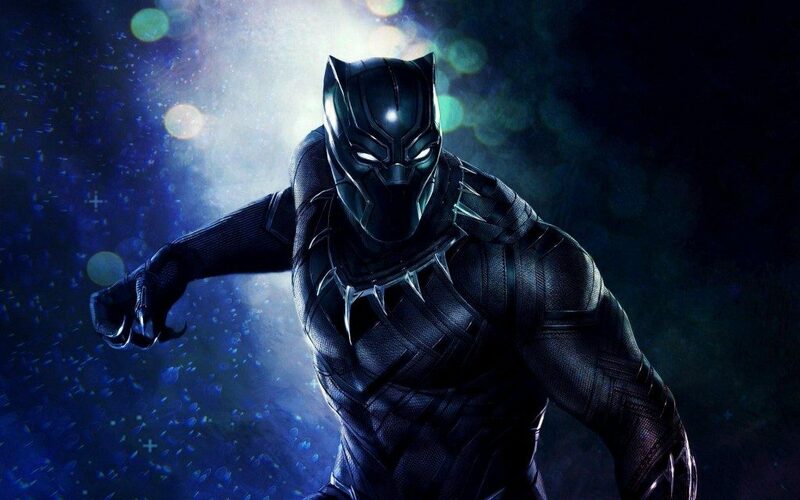 Black Content is Bankable – Black Panther grossed more than $500 million dollars worldwide in its opening week, the highest of virtually any February movie opening ever. But why are we surprised by this? It seems like a no brainer due to recent reports that confirm that Hip-Hop and R&B music—both native to Black American culture—are the biggest music genres in the United States. Black artists, musicians, actors, and athletes lead the way in almost all categories of entertainment and not solely because they are supported by Black people exclusively. There is a firm market for the expression of the Black experience for various cultures and the success of Black Panther, a film with a majority Black cast, further proves the point that we are big dollar generators. 2. Black Dollars Drive the Marketplace – It’s no secret that Black people are super consumers. With an estimated $1.5 trillion in buying power, the opportunity to market to Black consumers is as wide as it has ever been. This manifests in purchasing trends that spawn from more basic goods to high-end merchandise. Brands like Build-A-Bear jumped on the opportunity to release limited edition Black Panther Bears, adding to their existing line of Marvel heroes. 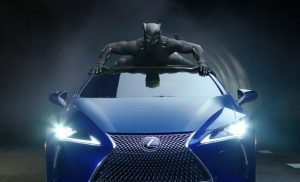 Even luxury brands like Lexus have tapped into the Black Panther phenomenon capitalizing on the buzz by featuring the film’s actors in their 2018 Super Bowl commercial, one of the most coveted advertising spots of the year. 3. Celebrating Culture – No one is having a better February than African import stores and clothing designers. 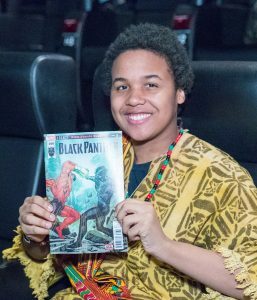 At virtually every screening of Black Panther during the first few weeks, there have been droves of people who have showed up in Kente cloth outfits, Dashikis and various other forms of traditional African wear. Different from the traditions of Lord of the Rings and Harry Potter where movie-goers showed up in costume, these outfits were not about dressing up to celebrate fantasy but rather to celebrate culture. This is important to highlight because it shows that we are willing to proudly showcase cultures and content that are not explicitly “American.” Yes, people of the diaspora all have roots in Africa and much of the excitement of this film was the opportunity to explore and celebrate those roots. What marketers should take away is that there is an openness to consuming material that is “different” and “other” than what we typically experience in the United States. 4. One Size Doesn’t Fit All – Black Panther is an incredible film. With an already huge built-in fan base of comic book fans and superhero movie enthusiasts, the film was expected to do well in comparison to the totality of the Marvel and DC cinematic universes. However, with the added excitement of urban communities rallying behind the movie in mass, what has happened at the box office can only be described to as “Star Wars-esque,” as you see sold out screenings fueled by group outings from schools, churches and community organizations. There’s been a lot of conversation on social media about how the community should rally around future films in the same way or why certain films don’t receive as much recognition. There are a couple things to consider when employing this line of thinking. First, this is entertainment. Every film will not always resonate with mass audiences despite who writes, directs or stars in it. Early this year, Taraji P. Henson starred in the film Proud Mary which was met with lackluster marketing support and less than stellar reviews. One could argue that this film was also a “Black film” so why wasn’t it supported like Black Panther? And the answer is simply that Black people and their interests are not monolithic. We don’t enjoy things only because they are Black. We enjoy them because they align with our values and interests just like everyone else. Understanding how to approach and respectfully leverage those passion points is the key to our wallets. The original Black Panther comic book appeared in 1966, the same year as the revolutionary civil rights organization that bears the same name. Although this has been noted by the comic’s creators as pure coincidence, both events were ground-breaking moments for the advancement of Black people in America. Half a century later, with the release of the Black Panther film, Black culture continues to lead the way in creativity and innovation. Marketers should take notice because this is only the beginning. The tribes have assembled, and we’re ready to support brands and products that show people of color in a positive light. Brian J. Packer is an Account Supervisor with Flowers Communications Group. He is a self-proclaimed “BLERD” who enjoys what he calls “The 4 H’s”: Hip-Hop, Hot Wings, superHeroes and HBCUs.